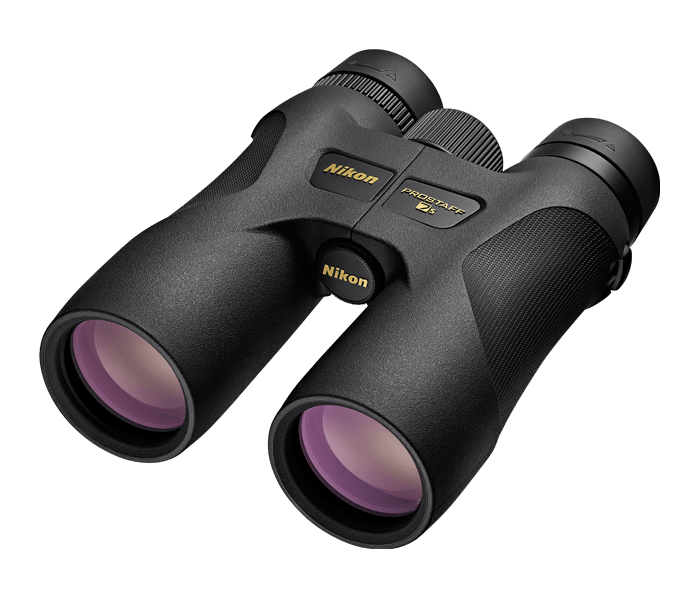 Nikon’s PROSTAFF 7S 10x42 is a lightweight, easy to hold, all-terrain binocular that features an advanced optical system designed to deliver sharper images. Thanks to fully multicoated Eco-glass lenses and Phase-Correction Coated Roof Prisms, every model in the PROSTAFF 7S series provides the quality brightness and resolution that make it the perfect accessory for almost any outdoor activity. PROSTAFF 7S binoculars provide high-resolution images with extremely accurate color reproduction, thanks to Phase-Correction Coated Roof Prisms. Multilayer coatings, which provide an even higher light transmittance across the entire visible light spectrum, are applied to all of the lens and prism surfaces that transmit light. This minimizes the loss of light due to reflection, thereby ensuring a more natural, clearer view. A lightweight, ergonomic body design makes the PROSTAFF 7S enjoyable to hold for long periods of time. The central focus knob is intuitive to operate and is very user friendly. Built to handle any environment, the PROSTAFF 7S has a rubber-armored coating to withstand extreme use and provide a non-slip grip, even in the wettest conditions. Turn-and-slide rubber eyecups allow users to adjust the eye-relief for a custom fit—providing a full field of view and maximum comfort during extended periods of use. PROSTAFF 7S binoculars are Nitrogen filled and O-Ring sealed for complete waterproof and fogproof performance. Nikon binoculars are covered by Nikon’s Lifetime Warranty. If any Nikon binocular is found to have defects in workmanship or materials, we will, at our option, repair or replace it at no charge.